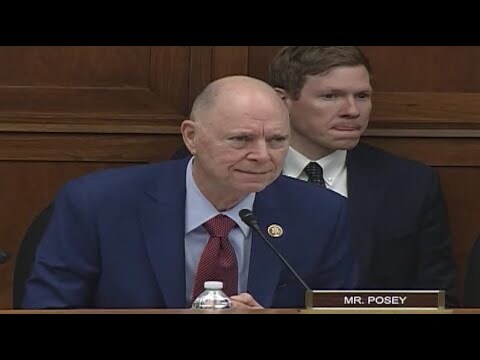 Congressman Bill Posey represents Florida’s 8th Congressional District which encompasses all of Brevard and Indian River Counties, and a small portion of Orange County (Bithlo, Christmas and Wedgefield). Posey, a Republican, was elected to U.S. House of Representatives in 2008 and is currently serving his third term. 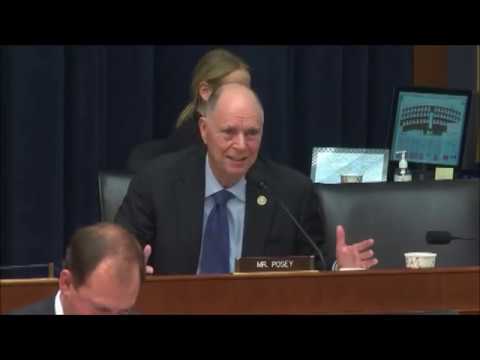 In the House, Congressman Posey serves on the Financial Services Committee and its two subcommittees on Financial Institutions and Consumer Credit and Domestic & International Monetary Policy. Posey also serves on the Committee on Science, Space and Technology and it’s two subcommittees on Space and Oversight. 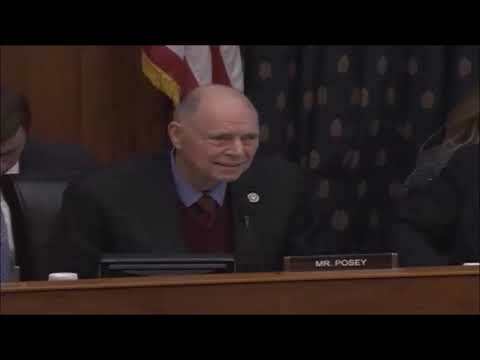 Congressman Posey is also a member of the House Republican Study Committee. Prior to being elected to Congress, Posey served for eight years in the Florida State Senate where he led the successful effort to reform Florida’s insurance laws to increase competition and lower rates for home-owners and businesses in response to the devastating 2004 hurricane season. And after the controversy surrounding the 2000 Presidential election, Posey sponsored and passed legislation to reform and modernize Florida’s election process by requiring counties to replace their punch card ballot system with optical scanners, set new election recount standards and better educate voters and poll workers. He also oversaw reforms to lower the cost of workers’ compensation, medical malpractice and automobile insurance laws. In 1992 Posey was elected to the Florida House of Representatives and had previously served for 10 years as a member of the Rockledge City Council. Before entering public service, Bill worked at the Kennedy Space Center until he was laid off with the end of the Apollo Program. He then founded Posey & Co. Realtors and later served as a director of the Florida Association of Realtors and President of the Space Coast Association of Realtors. Bill Posey was born in 1947 and attended Cocoa High where he met and later married his high school sweetheart, Katie. He graduated from Brevard Community College with an Associate of Arts degree in 1969. Bill and Katie live together in Rockledge and have been happily married for 45 years. They have two grown daughters, Pam and Cathi, and 3 grandchildren. 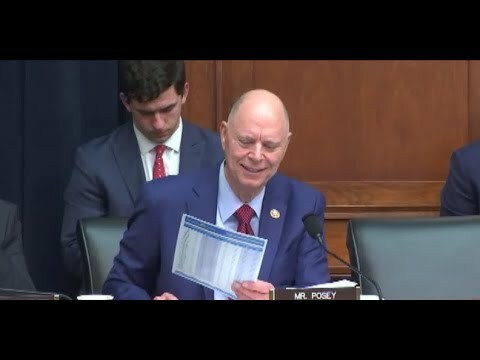 Congressman Posey has long been an advocate for greater accountability in government and is the author of the book Activity Based Total Accountability. The American Legislative Exchange Council, the nation’s oldest and largest bipartisan organization of state lawmakers, named Posey a “National Legislator of the Year” for his efforts to bring greater accountability to government. He is also an accomplished stock car racer, having received the award for short track driver achievement in memory of Davey & Clifford Allison presented by Bobby & Judy Allison. Congratulations to SpaceX on an amazing launch of Falcon Heavy!